You'll enjoy a bit of beach vacationing at Bellevue Beach and Ispoinen Beach and Sauna. Explore hidden gems such as The Archipelago Trail and The Church of the Holy Cross. Venture out of the city with trips to Ekenas Old Town (in Raseborg), Rauman Merimuseo - Rauma Maritime Museum (in Rauma) and Tulliniemi Nature Path (in Hanko). Spend the 1st (Thu) exploring nature at Teijo national park. The adventure continues: head off the coast to Uto, have fun at Flowpark, let the kids burn off some steam at Adventure Park, and stroll through Kupittaa Park. 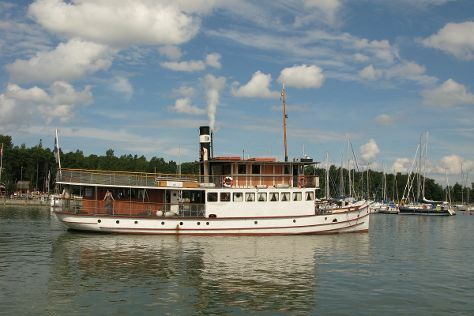 To see reviews, photos, maps, and tourist information, go to the Turku road trip planner. If you are flying in from Canada, the closest major airport is Turku Airport. Expect a daytime high around 24°C in July, and nighttime lows around 13°C. Finish your sightseeing early on the 1st (Thu) so you can travel back home.